This car rosary was made as a companion to my MAY birthstone rosary. It uses similar Czech glass beads and can be customized with different parts if you wish. 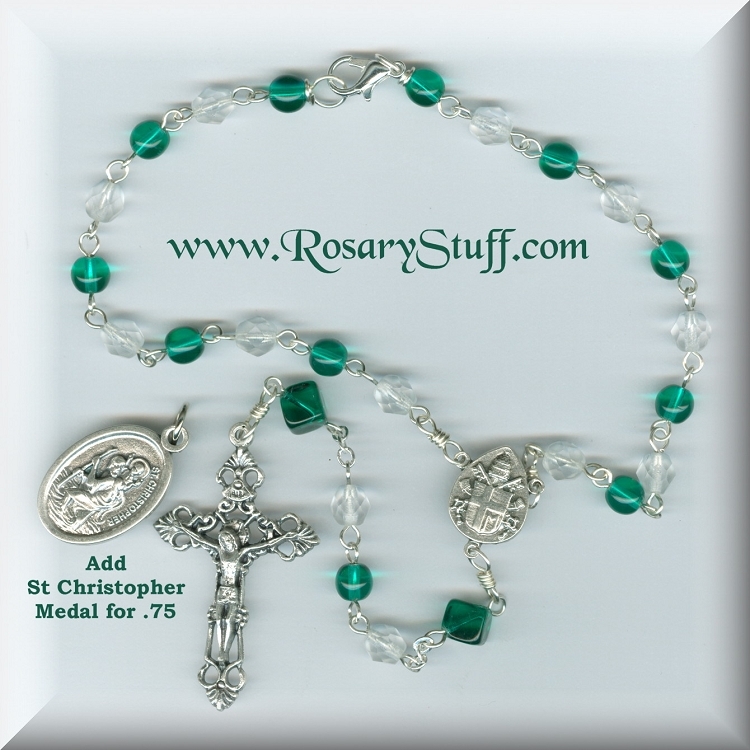 Unlike other car rosaries, these contain the complete lower section (instead of just 1 bead). If you would like to get more information about what colors and parts are available in this price range, please contact me. We can also add a St Christopher medal to the crucifix (patron of travelers) for an additional .75. BEADS: alternating Czech glass 6mm emerald green round and matte clear faceted Aves with 8mm diagonal cubed Paters.